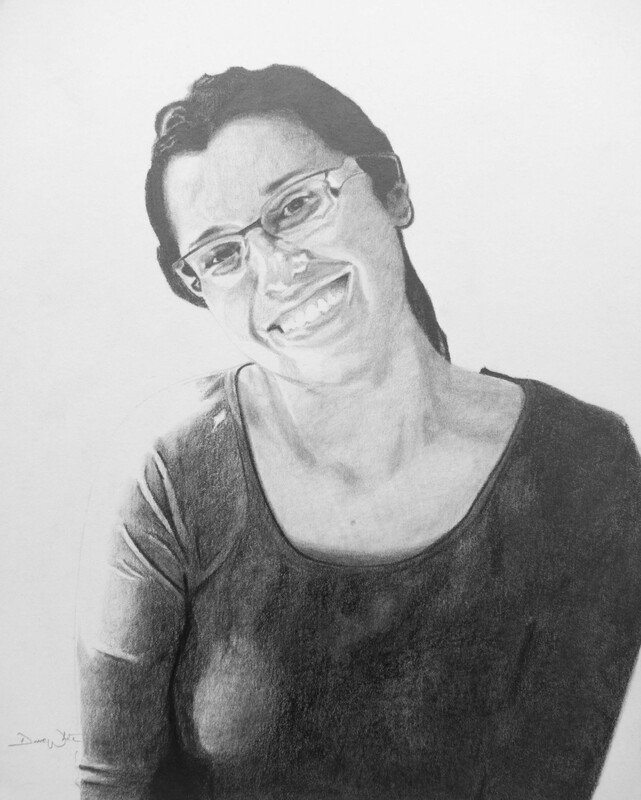 Here is a photo of the graphite portrait drawing I completed today of my wife. This is from a photo I took of her while we were eating brunch last October at a little restaurant in the Fort Greene / Clinton Hill neighborhood in Brooklyn, New York! Posted in Art, Portraits	"portrait art""portrait artist""portrait drawing"
< Portrait Art – Drawing of my Wife!